I have just reviewed the Halo flash light also from Aputure and a lot of what I said there applies to this lighting unit, but they are really two distinct accessories with very different specs. This model is a rectangular box, with room inside for 6 AA batteries (or it can also be powered by lithium ones). Its face is similar in size to a smartphone but it is quite deep and, once ready to use, it reflects the weight of the batteries. It comes with a hot shoe for mounting on a DSLR (in my case a Nikon) and an adapter neck for attachment to a tripod (which I think is even better although a little fiddly to tighten). The design of the casing allows stacking both vertically and horizontally, so that a maximum of nine units can be joined together to form a highly efficient lighting panel. It has a very useful 160 LED beads, giving off adjustable light that should make a significant difference to your videos, especially in indoor conditions. Without getting too technical, the quality of the light is such that colours are rendered very faithfully. There are two diffusing filters, one clear, the other amber, giving a warm luminosity, especially flattering to skin tones. I find this bright, portable lighting unit is invaluable for portrait and macro photography, close-up detail and any time a shadow-free, clear light is needed, but where it really shines is for video taking. At the back of the unit is an ON/OFF switch, a battery level indicator and a knob whereby light intensity is regulated in seamless fashion. In my trials, the light output was steady with no visible flickering, which works really well for video. I am using rechargeable AA batteries which I remove when storing the unit away. The LEDs stay cool, so it is possible to hand-hold it for precise and dynamic placement. The rigid plastic of the casing is very light and does not look very tough but, with careful use, it should last well. A little practice was needed to achieve good results, but it certainly beats filming without it! I am very happy with the test unit I was sent for evaluation and review purposes and am thinking of buying at least two more to join together or use separately. This light unit allows me to get near-professional results for a very moderate price. We bought a Nikon D3200 earlier this year, and are still experimenting with all it can do. When I was offered the chance to evaluate this new and improved flash ring, I was only mildly intrigued. After all, the camera comes with its own flash and we don't do professional photo shoots so I did not anticipate a great need for this sort of accessory. Well, trying is believing. It only took a few test shots to demonstrate the outstanding qualities of this modestly priced product. There are lots of competing products at this price level but the obvious main difference is the number of LED units. 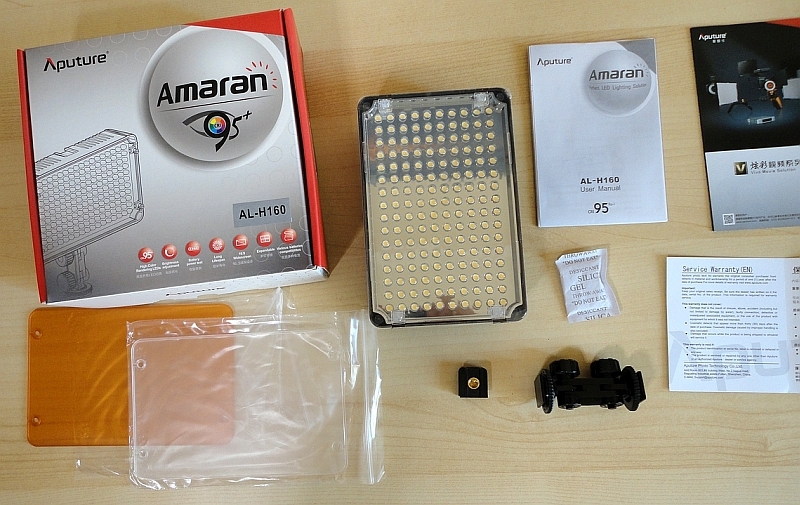 Polaroid and Meike have 32, others have 48, this Amaran model has a staggering 100, but it's not just about brighter light. This unit has a smart colour rendering feature, which in essence means that, with proper adjustment, your subjects will not be washed out. The usual applications are macro photography, small objects, scientific applications, even books or documents, anything where shadow-free, detailed photos are needed, but the various modes of use offer lots of creative options for portrait photography as well. The ring works in full mode (which is fabulous for video taking because the light output is constant, without any flickering), and flash, which is triggered by your camera. You can also choose to have only the right or left side lit. Each mode can be set in stepless increments to quarter, half and full power, giving you a lot of flexibility. 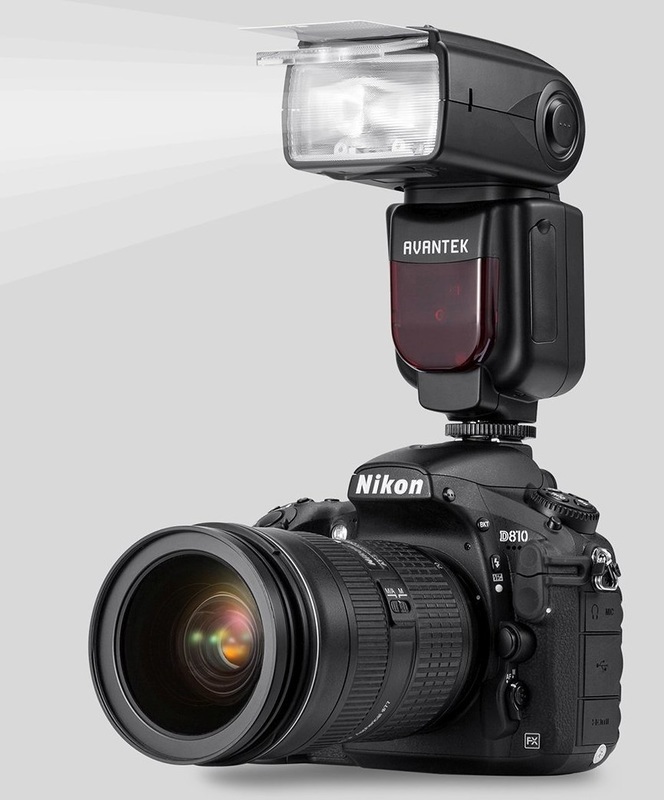 The unit takes 4 standard AA batteries and can be mounted directly on the hot shoe of your Nikon (there is a similar model for Canon cameras) with the flash mounted around the lens by means of one of eight rings (for our D3200, the correct size is 52mm but the adaptors range from 49 to 77mm). Alternatively, the flash ring can be attached to the unit itself and mounted on a tripod or even held by hand as the LED lights don't get hot. It works well at a maximum distance from your subject of 1.5 metres but you can go much closer. The light is strong enough that you can bounce it off a white board or umbrella. As compared with a standard flash, the light is much softer and more diffused. For professional use there are flash rings that can cost several hundreds of pounds, but if your needs are moderate, or if you just want to try this type of accessory, you can hardly go wrong with this well made, solid looking piece of kit. For my purposes, it takes macro photography to a new level, especially flowers, butterflies, and the like. 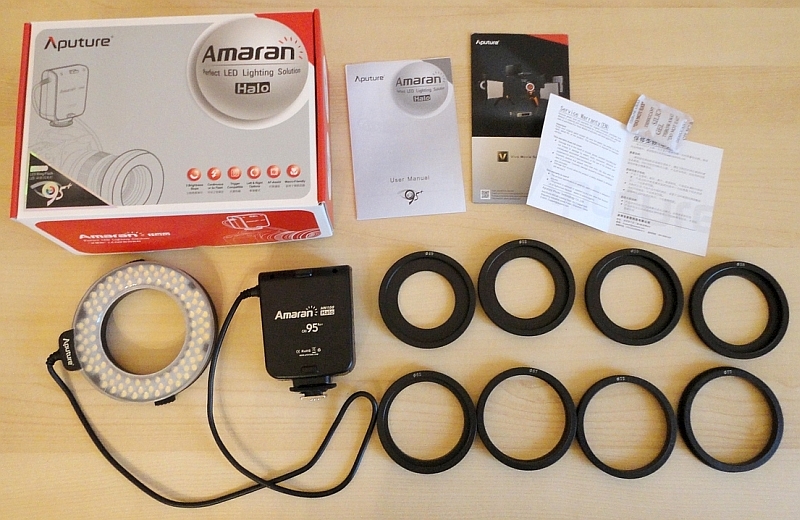 It's also a huge time saver for the product photos and videos I take to illustrate my reviews. I can do my indoor photographing any time of day or night without any need for tedious post-processing. Aputure also make a larger rectangular flash panel which will work with any style and make of camera, mounted on a tripod or stand, or hand-held. I will update this review to address durability, but for now first impressions are excellent. The units looks robust, the cable is thick and pliable, the fitting rings are plastic, but I've already dropped one on a hard tile floor and it bounced back undamaged. Even with minimal experience, results have been fantastic and I really like how it works with video. We bought a Nikon D3200 last year, and are still experimenting with its many intricacies. When I was offered the opportunity to evaluate this powerful flash, I was delighted to accept. My husband and I are keen photographers but I am definitely not an expert, so my comments reflect the views of a casual user. The instructions manual is very detailed and comprehensive. We have yet to master all the options, but one caution worth passing along is to never deploy the flash directly and at close range into someone's eyes (or at someone driving). It is powerful enough to do damage to their retinas! We shoot as much indoors in poor ambient light as outside, especially in the winter, so a capable flash is a must. The first thing that impressed me on opening the box is the solidity and ruggedness of this unit. It looks like it can take a knock and bounce back. It takes four AA batteries (I use rechargeables), which give an amazing autonomy. We have yet to deplete them during any one session, even though we take 200 or more photos at a time. I think the stated battery life is between 110 and over 1,000 flashes! Included in the box is a nice drawstring pouch for carrying, and a shoe accessory to allow mounting on a tripod. This, for me, is the best use for this flash gun as the light can be bounced to achieve a softer effect. The flash head can be angled and rotated through a very useful range of positions and there are a clear diffuser and a white card which both slide in and out of the body of the flash. 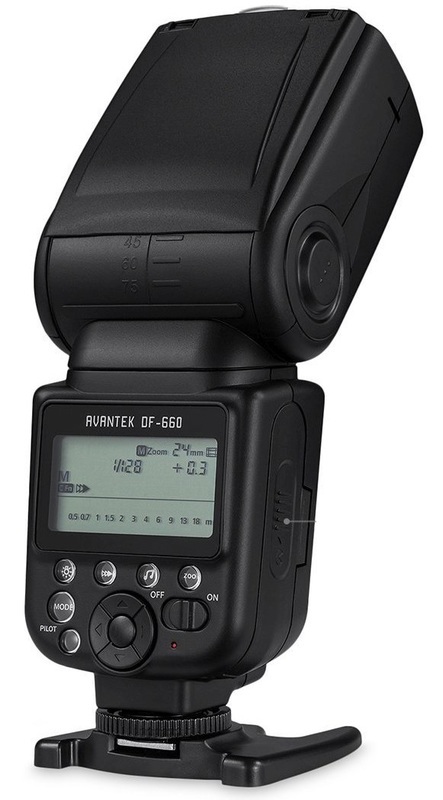 Although capable of many advanced functions and customization, this flash can also be used very simply in automatic mode while you are getting the hang of how it works. 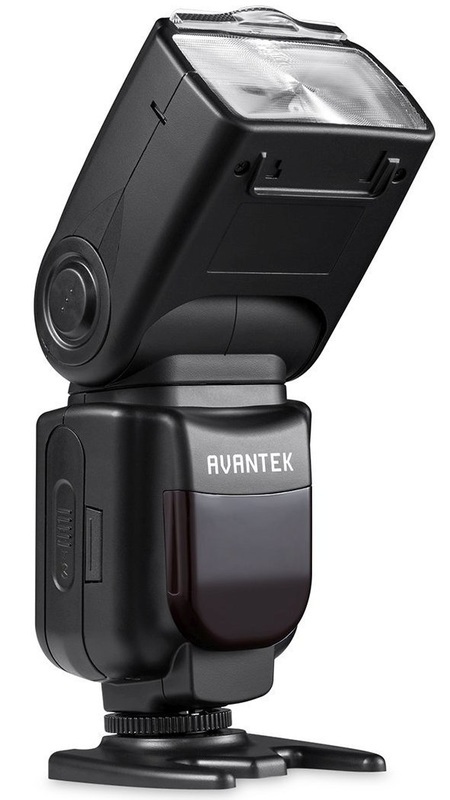 So far, it seems fully compatible with our Nikon model D3200. The response speed is fantastic and it makes a huge difference to the finished result. The other outstanding feature is, of course, the price. This product answers the need for a professional flash gun at a price that most amateurs would consider more than acceptable.